"Twenty-one year old Juliana Redding was brutally murdered on March 15th, 2008. Her young life was taken away by the defendant seated in this courtroom, Kelly Soo Park." Okun-Wiese describes the charge of murder. Okun-Wiese uses the penal code 187 and jury instructions to tell the jury how murder is defined in California. It's defined as someone was killed and that the killing was unlawful. It means it was not done in self-defense and that it was done with "malice aforethought." Okun-Wiese describes implied and expressed malice. "When you put your hands around somebody's neck with enough force to break their hyoid bone, there can be no mistake that you intended to kill your victim. Make no mistake about it ... we ahave express malice in this case." Okun-Wiese gives an example for implied malice. The example is going to a convenience store that's closed then pulling a gun out and shooting through the glass. The act of shooting through the window is an intentional act. And if it's known that there are people in the store, and the decision is made to shoot anyway, that is implied malice. Okun-Wiese explains that putting your hands around someones neck is an intentional act that is a conscious disregard for human life. It's safe to assume when you put your hands around someones neck, you cut off their airway. The person is going to go unconscious or die. Okun-Wiese then goes onto explain first degree and second degree murder to the jury. First degree requires willful, deliberate, premeditation. She then describes what all three of these terms mean in the law. These terms are described in the jury instructions. In explaining premeditation she gives the example of driving in the city and faced with a yellow light at an intersection. "Should I go through that yellow light and get to my destination quicker and risk, one, getting a ticket; or two getting into an accident? Or do I stay and not go through the yellow light and risk being late to my destination and just be a safe driver?" "That act of considering what you are doing in that split second is premeditation and deliberation." Okun-Wiese describes how that applies in this case, using the testimony of Dr. Pena. Dr. Pena could not give the jury how long it would take to be strangled. But he spoke about Juliana's hyoid bone and that it was completely fractured, and to do that would take both hands. "With every second that passed the defendant thought about what she was doing; she was weighing her options, the pros and the cons. At any point, while she had her hands around ... Juliana's neck she could have stopped. She could have called 911. She could have left the location. But she didn't. She caused Juliana to pass out, and she caused Juliana's death. She had ample opportunity to stop the act that she was committing." That is willful, premeditated and deliberate. Okun-Wiese talks about circumstantial evidence, and that she spoke to the jurors about that in voir dire, and her example of her son eating the cookie. She then goes over the example of all the parts of an elephant to explain circumstantial evidence. Okun-Wiese then moves onto motive, and that motive is not an element of the crime. "There does not need to be a motive in order for you to find the defendant guilty." Okun-Wiese now gives an example of seeing someone walk up and shoot another person. It doesn't matter why someone shot another person. "What matters is, she took her bare hands, placed them around Juliana's neck and she strangled her until she had her last breath of air." She tells the jurors that even if they saw her do the same thing to Detective Thompson, even though they don't know why she did it, it doesn't negate the fact that Okun-Wiese killed the detective. Okun-Wiese now moves onto the various relationships between Park, Uwaydah and Redding. She first brings up the testimony of Erin Kelly and the mortgage brokerage relationships. Next is the testimony of Gerald Lukiewski, who worked with Park and Uwaydah and the testimony about a bank business venture. The testimony of Officer Enriquez, and the California ID card Uwaydah gave Enriquez that said on the back, 'In case of emergency, call Kelly at this number.' The calls between the defendant and Uwaydah on the wire tap. Over three and a half days there were sixteen calls between them. The money from Frontline, the corporation owned by Uwaydah, paid to Park personally or to her company, Sherwood Investments of over $1 million in eighteen months. That establishes their relationship between 2006 and 2010. 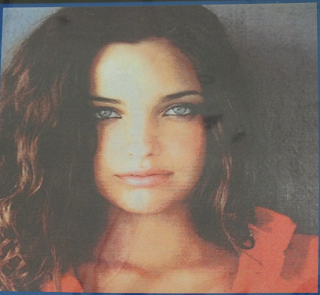 Juliana Redding met Uwaydah sometime in July of 2007, who introduced her father to Uwaydah in July or August of 2007. Greg Redding testified about his relationship with Uwaydah and the business deal they were negotiating. Redding was going to run Golden State Pharmecuticals, in Camarillo. Redding researched Uwaydah on the Internet and found out that he lied about being married, his age and having kids. He told his daughter this information on her 21st birthday, before a planned trip to Las Vegas on Uwaydah's jet. The confrontation happens, Juliana leaves Vegas, moves her things out of Uwaydah's home and lives with a girlfriend. After a time, Greg Redding and Uwaydah reignite their business negotiations. After going back and forth several times, Greg Redding stopped all negotiations on March 10th, five days before Park killed Juliana. "These relationships are important to understand because this isn't by circumstance that the defendant's DNA was found all over. It is not as though she is not linked at all to Juliana Redding. This is the link. ... Mr. Uwaydah is the common denominator throughout these relationships." Park is five feet ten and weighs 150 pounds. Juliana was five seven and 110 pounds. Okun-Wiese starts with Juliana's trip to the restaurant Tengu with Kelly Duncan. They had drinks, dinner and left around 8:00 PM. They each went to their respective homes. Mark Miner testified that Juliana's cell phone called 911, but it was either hung up purposely or never made it through the network. The call was made at 9:52 PM. 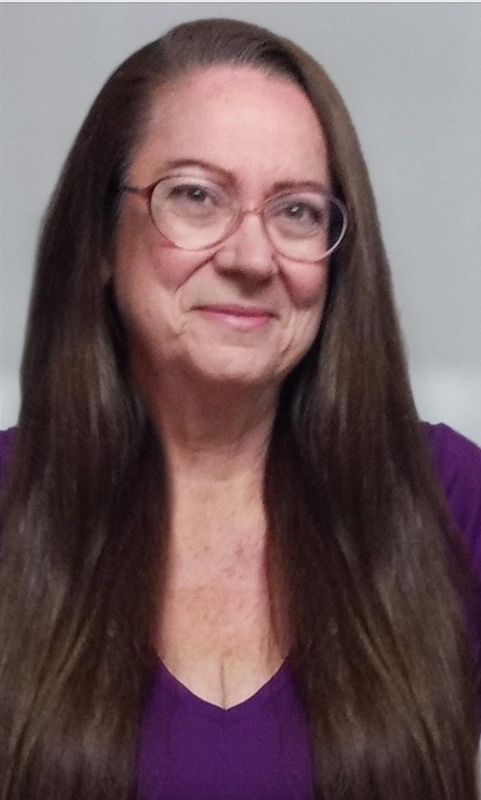 Neighbor Lynn Mitchell Parish who lived 10-15 feet away, testified that at approximately 9:53 PM she heard one loud scream from a female coming from the area of Juliana's apartment. There was a pause and then she heard a commotion of either furniture moving or banging. She then heard two additional screams. She was certain about the time because her husband called and she looked at the time on the cable box. Okun-Wiese goes over Dr. Pena's autopsy results that this was a homicide and that Juliana died of manual strangulation. She then goes over his findings: extensive petechia in Juliana's eyes, caused by the blood flow to the veins being cut off. The blow to Juliana's left eye; the abrasions to her knees that had to have occurred when she was on all fours, fighting; the injuries to her back that came from blows; and the abrasions and bruising to her hip. Juliana also had numerous hemorrhages to her head that were caused by multiple blows to her head from a fist or blunt force object. The damage to Juliana's fingernails; they were all jagged and torn. One nail was ripped completely off. Natasha Hovey testified Juliana had her nails done three days before. There was a linear abrasion on Juliana's neck. Dr. Pena stated that's common when someone is struggling to get another person's hands from their neck. Annette McCall testified that the DNA underneath Juliana's nails was only Juliana's DNA. That's consistent with what Dr. Pena said about pulling on her neck to try to break free from the other person's hold. Juliana's mother became concerned when she didn't hear from her. Santa Monica PD did a welfare check on her apartment. First responder Sergeant Hernandez could not gain entry to the apartment. He called for a specific officer, for assistance to gain entry to the apartment. Upon lifting the window in the back door, both officers smelled gas. The Santa Monica Fire Department was called. Entry was finally made into the apartment. Hernandez testified that both of the dead bolts of the back too doors were open (wood door and security door). The door knobs were locked but the dead bolts were not engaged. Okun-Wiese tells the jury this was the point of exit for the defendant. After the officers and firefighter Gary Marshall made entry, Marshall noticed that the right knob on the stove was turned to the on position. Marshall turned off the knob then opened a window to get some ventilation. Marshall testified that if the saturation level of the natural gas is between 4 and 15 percent, it doesn't need the candle to explode; it can explode on any ignition, such as a refrigerator or a light switch. The responding officers then went into the living room where they saw things out of place. Detective Lewis testified that both of the dead bolts on the front door were in the locked position. That's important because next to the front door were Juliana's keys. The front door had to have been locked from the inside. That's important because the defendant's DNA was found on the interior front door handle. Okun-Wiese tells the jury, "The defendant locked that door before she exited out through the rear door." Forensic Specialist Jennifer Zychowski testified about various items that indicated to her there was a struggle. She observed a broken, gold chain necklace. Gold chain under table leg. 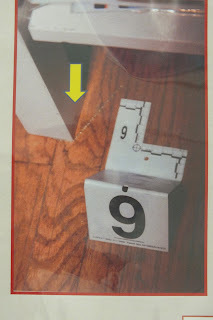 One section was in a tray on the coffee table, the other piece was underneath a leg of the same table. 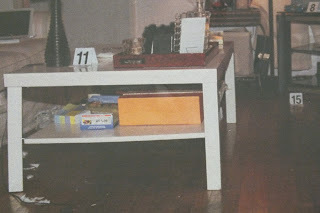 One of the table legs was twisted, broken position. Far left, twisted table leg. There was spilled oil from a vase under the tray. There was no oil around the tray and the vase with the oil was upright. 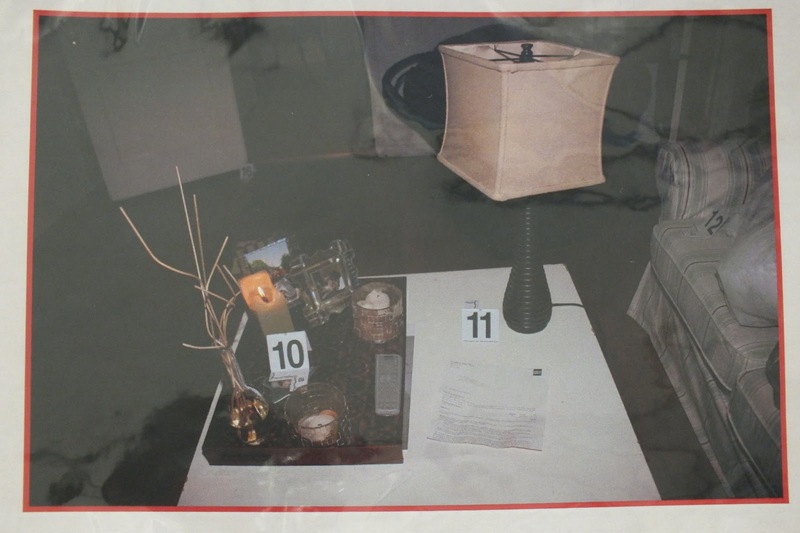 Table with tray showing lamp, candle and vase with oil. That means someone cleaned up the oil around the tray. There was a red plate between the TV and the wall. There were pieces of broken white porcelain on the floor. 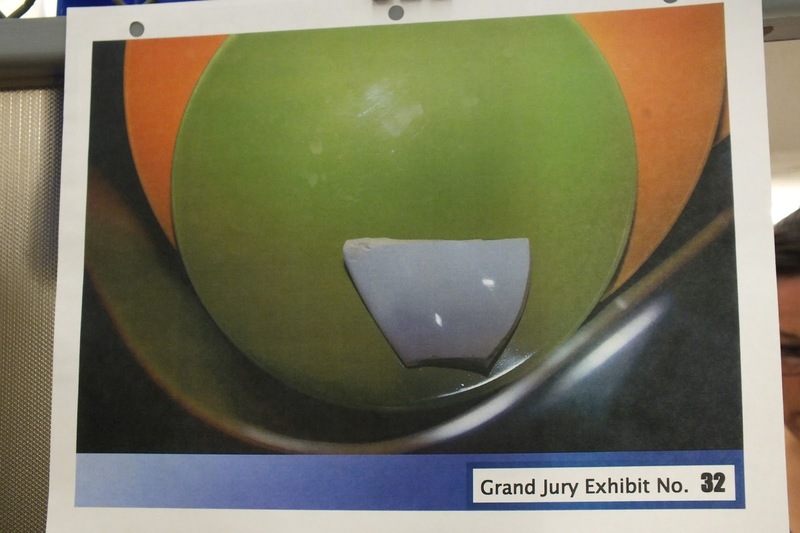 Broken pieces of porcelain were also located in the kitchen sink, and also in the kitchen trash. Plates in sink with broken porcelain pieces. Orange plate had fingerprint on the back side. Zycowski observed both red and white broken pieces and that all those broken pieces combined could not make an entire plate. A lamp was unplugged and out of place. The lamp cord was under one of the table legs. Ms. Zychowski located Juliana's broken nail. They found it behind the couch. Okun-Wiese states, "That nail did not just get there; it came off during a very brutal struggle. 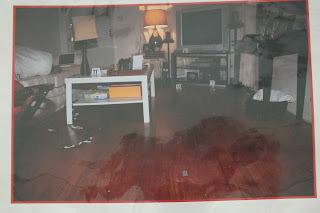 The detectives located Juliana in her bedroom, with all her injuries. Obviously, she was dead. Okun-Wiese talks about the clean of the crime scene. The spilled oil that was cleaned up. Juliana in her bed. That's not the position she died in. That's the position someone placed her in with her legs crossed. Zychowski testified they used luminol and certain areas lit up, one of those areas being the hallway to Juliana's room. "Somebody dragged Juliana into that room, and that somebody, ladies and gentlemen, is the defendant in this courtroom," Okun-Wiese tells the jury. "Think about how her DNA got on Juliana's tank top. You grab somebody from behind and you wrap your arms around them and you drag them and you throw them on the bed. Your DNA is going to go from your body to their back tank top, and your DNA from your arms is going to get on the front tank top of Juliana." 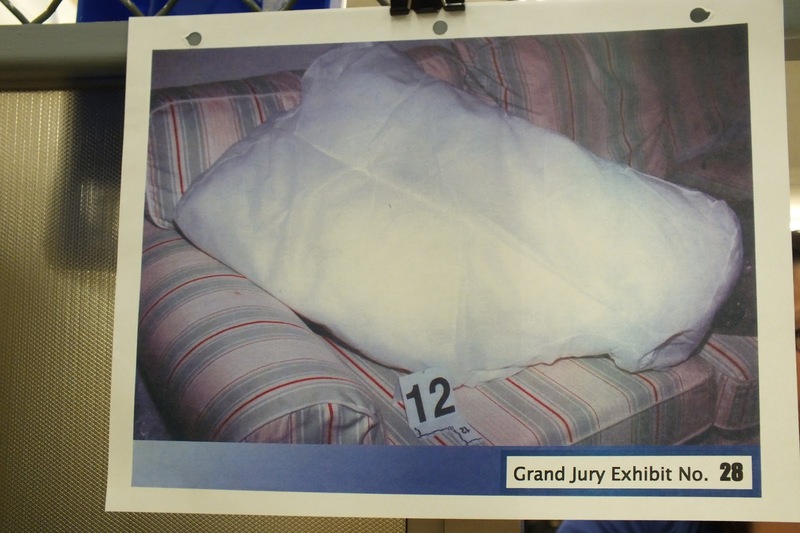 The sofa pillow that didn't have a cover. Officers searched all over for that cover and didn't find it. Why? Because the defendant took it with her to conceal evidence. Sofa cushion pillow with no cover. DNA testing. Over the course of two years, the Orange County Crime Lab examined more that 70 items of evidence and 42 reference and secondary samples. It wasn't until Detective Thompson found out about Uwaydah and started looking at his associates that a suspect was identified. The suspect was identified through DNA. In March 2010, Ms. McCall called Detective Thompson and that call indicated "you finally have your suspect." Annette McCall testified about the examination process, the quantification process and the amplification process and the typing process. Then she gave her results and findings. Oken-Wiese tells the jury, "And the defense got up here and they tried to talk about these extra possible alleles, and they tried to divert your attention from what she was testifying about." 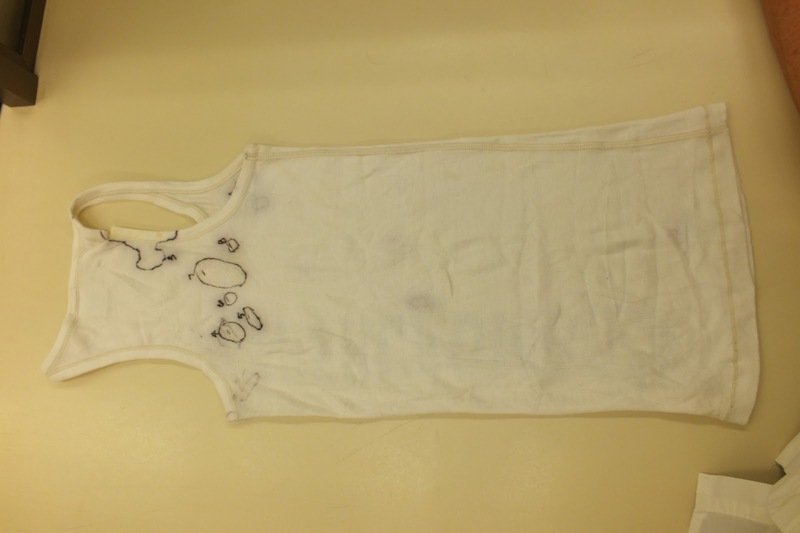 Those extra stray alleles do not negate the fact of the defendant's profile on each one of the items: The cell phone, the tank top, the neck, the door the blood on the fingerprint, the stove; each one was a match to the defendant's profile. Okun-Wiese talks about the defense witness Cher Brooks, the random allele on Juliana that could have been hers, and how Brooks was excluded as being a contributor to the items in Juliana's apartment. Juliana was an active person, with lots of friends that she hugged. Annette McCall said it would not be uncommon for a portion of someones DNA to be on Juliana. McCall testified there are just under 7 billion people in the world. The frequency of choosing an individual with this profile (found on all those items) is more rare than one in 200 billion unrelated individuals. That would be the equivalent of 29 world populations. And even in that event, you still may not find another person who has the same DNA profile as Park. The frequency of choosing an individual with this profile is more rare than 1 in 300 million unrelated individuals. 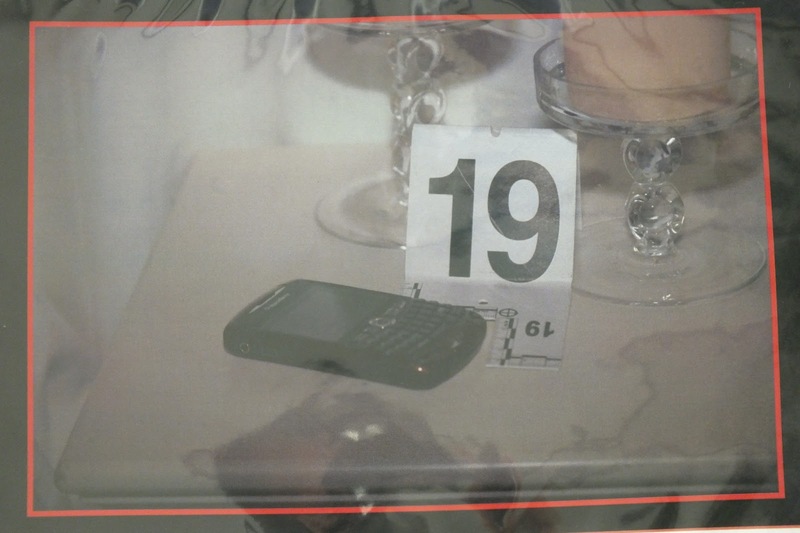 The cell phone. More rare than 1 in 1 trillion unrelated individuals. 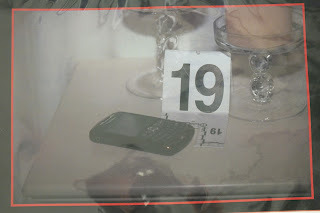 The cell phone on the bedside table. Okun-Wiese asks the jury to think about that cell phone and the 911 call. Juliana was calling 911 and the defendant pulled the phone away from her and hung the phone up. The front stove knob. It was turned to the on position. 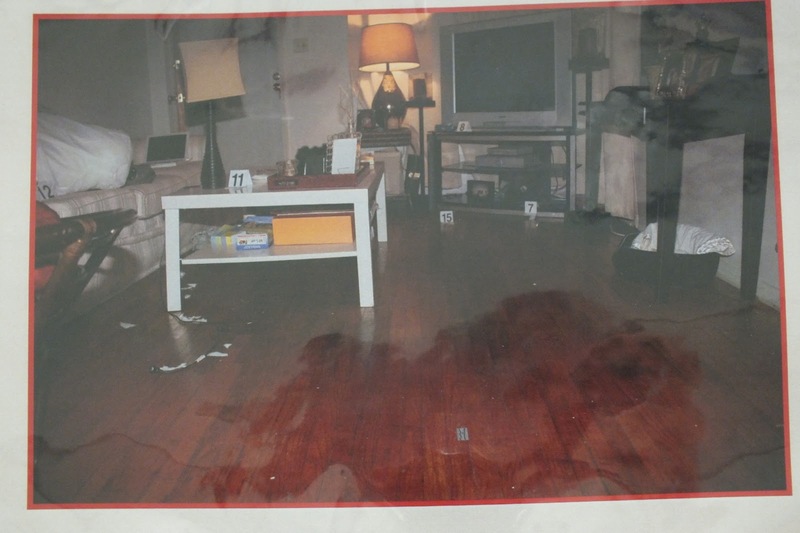 The defendant was hopeful she would get rid of evidence by blowing up that apartment. Okun-Wiese goes back to the clean up and the luminol. Zychowski testified that you couldn't see the blood with your natural eye; they had to spray it with luminol, and then it shined. The defendant tried to clean up that blood. She tried to cover her tracks. The front interior door. This profile is more rare than 1 in 1 trillion. The defendant is the only one with this profile. The suspected blood on the latent print, that Zychowski sent to the crime lab in January 2009. 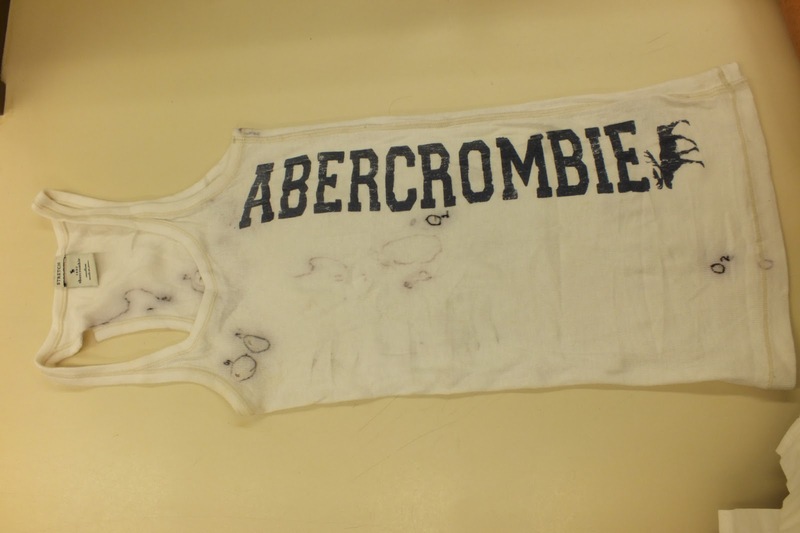 And the lab confirmed that it was blood. 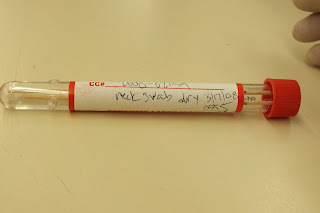 A single source blood. And that profile was the same profile that was a contributor in each one of the items just discussed. That frequency, is more rare than 1 in 1 trillion. Okun-Wiese goes over each one of these items again, that had DNA evidence on them and why it's there. This wasn't a case where they didn't eliminate people. 42 women were eliminated. 70 items of evidence were examined. This is a case where the evidence is overwhelming with DNA. Besides the DNA, there's also a fingerprint. 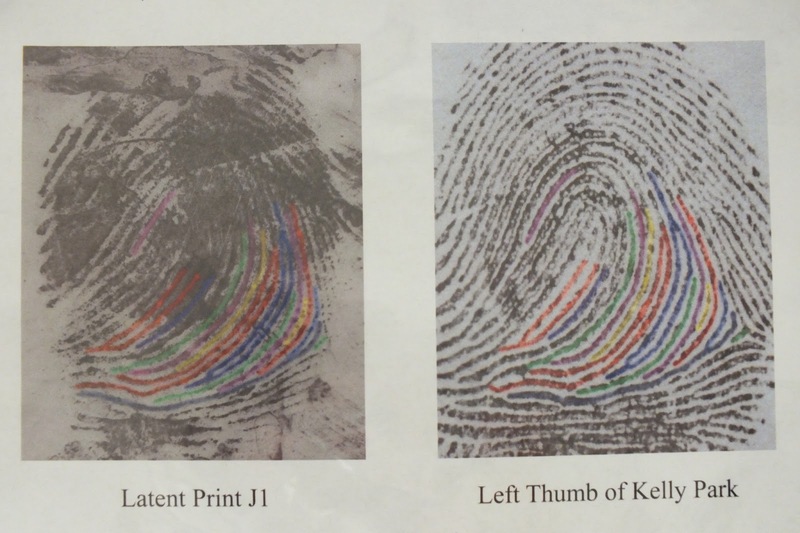 A fingerprint lifted from the crime scene on March 17th. When Park was arrested on June 17th, 2010 the following day Santa Monica PD got a queue. Deputy Bevan explained how the AFIS system works, that all the fingerprints entered stay in the system. When Parks fingerprints went into the system, the system found a potential match. 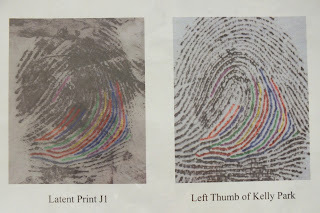 Comparison of print collect at scene and Park's left thumb. Okun-Wiese talks about the experts who examined the fingerprint the lines and ridges they looked at and that they all made a match comparison to Park. She mentions their years of experience evaluating thousands and thousands of fingerprints, and how they've testified in court. Okun-Wiese reminds the jury that there was no evidence to negate that this fingerprint belongs to the defendant. "She left this fingerprint with her blood on a plate in Juliana's apartment when she killed her on March 15th of 2008," Okun-Wiese tells the jury. The contact by Detective Bambrick with the defendant at the animal shelter. The audio recording and the transcript. "And when the defendant hears the victim's name, Juliana Redding, she says, 'Oh, my God.' And through throughout the entire recording, she says, "I don't believe you. I don't believe you." Bambrick showed the defendant his badge and his card. He even got the Ventura County Sheriff's to come out and Park still wouldn't give her fingerprints. Why? Her fingerprint was at the scene. "The minute she heard Juliana Redding's name, she knew she was done for. And that's why she refused to provide her fingerprint." Not because she didn't believe he was a detective, but because she was caught. The evidence in this case is overwhelming. The DNA, the numbers are overwhelming. There was no one there but the defendant and Juliana. Okun-Wiese reminds the jurors of Park's weight and height compared to Juliana. She reminds the jurors that Juliana struggled and struggled. She cut her foot on something sharp. Her nails were all jagged. She lost her thumbnail. She had multiple hemorrhages to her head. She had a cut in between her lip and her teeth from being hit in the face. She suffered bruise after bruise after bruise. This girl was brutally, brutally murdered. The defendant is responsible for her murder, for she is the only link to Uwaydah. Okun-Wiese goes over several items again. Park refusing to provide her prints because she was in trouble. She lists all the items with the DNA and their rarity numbers. The fingerprint at the scene. "These points ladies and gentlemen, add up to nothing other than the defendant is guilty of first degree murder. Thank you." Dear Sprocket, is there any chance that you might try to interview jury members? Or perhaps you don't know their names. I hope you will post here if you ever hear what their reasoning was to acquit. I really appreciate all your work in keeping us informed - thank you so much. As of today, I have not received any communications from anyone who identified themselves as a juror on the Park case. The jurors real names, are kept private from all court records. It's a right the jurors, for serving on a jury in Los Angeles County. When the trial was over, the jurors asked to leave by a private exit and the court accommodated that. Now, with that being said, I did receive on the blog, an anonymous comment that was left where the individual indicated they knew one of the alternate jurors. Understand, this was an anonymous comment, with no way for me to verify anything. And, the alternate jurors however, were not involved in the deliberation process or reached a verdict. The anonymous commenter asked me not to publish the comment, which I have honored, so I cannot share at this time what the anonymous comment said. Unless someone writes me an email, identifies themselves as a juror and is willing to speak with me on the phone or meet in person, what the jurors thought individually or as a collective group remains unknown. Sprocket, I know that you want to stay neutral in your reporting on a trial, and I totally respect that. But now that the trial is over, would you comment on whether you think Park is guilty? 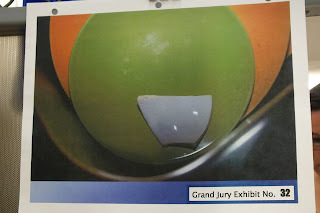 (even Judge Perry, although a year later, said he thought enough evidence to convict C. Anthony and was surprised by verdict) I personally thought by the evidence presented that Park was guilty and did not understand why jury was so hung up on the dna. Thanks again for these updated notes. Thank you for your thoughts. I'm not a judge. As a journalist, my goal is to report what happens. What I've learned over the past couple of years covering trials, is that --for my efforts in covering a trial in the unique way that I do-- to be respected among other journalists/reporters, I must report neutrally and transparently. Consequently, I need to put my own personal opinions aside. And in reality, my opinion doesn't matter. Only the jury's opinion matters. I'm not finished with the Park Trial Synopsis. I think once T&T's readers read the conclusion of Part III, you may understand the jury' verdict. Keep in mind, you know way more than the jury did because of the pretrial motions to exclude hearsay and other 1101b evidence.